New York: Frederick A. Stokes, 1931. First edition of this classic work, basis for the film starring Marlon Brando and Frank Sinatra. Octavo, original cloth. 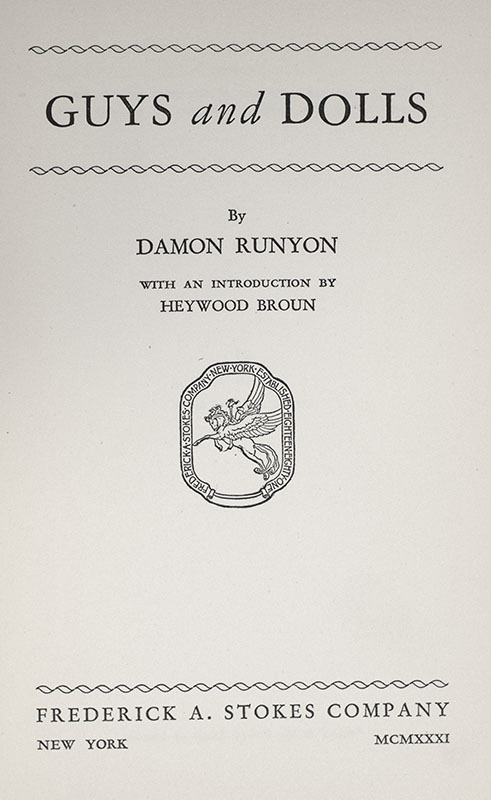 A pre-publication example, with the date of August 20, 1931 stamped to the front free endpaper, very good in a very good dust jacket with some chips and wear. Introduction by Heywood Broun. 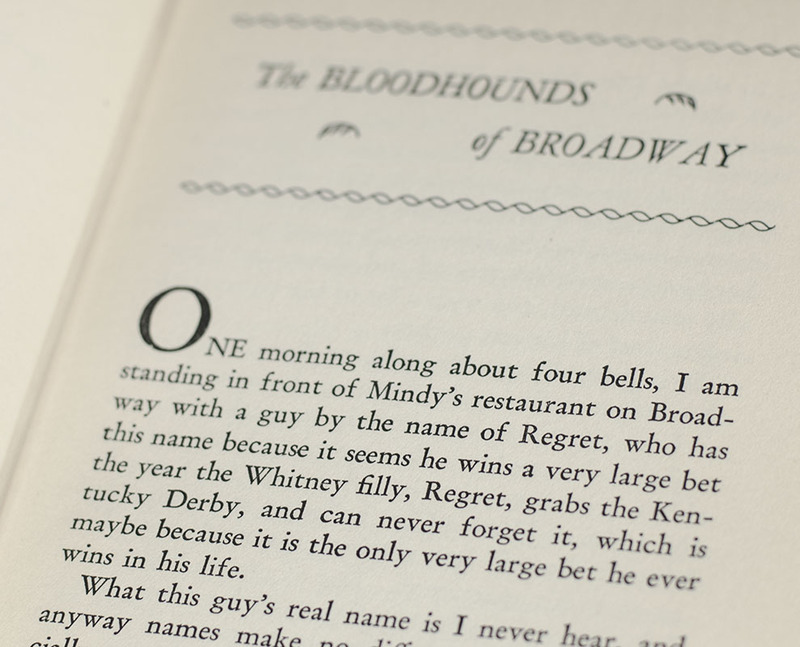 First editions in the original dust jacket are scarce. It was the basis for the acclaimed Broadway musical written by Jo Swerling and Abe Burrows, which ran for 1200 performances between 1950 and 1953 at the 46th Street Theatre, as well as numerous revivals and also for the 1955 the film version of the musical, starring Marlon Brando as Sky, Frank Sinatra as Nathan Detroit, and Jean Simmons as Sarah, with Vivian Blaine reprising her role as Adelaide. The film was directed by Joseph L. Mankiewicz and produced by Samuel Goldwyn.